Modern log aggregation & search tools provide significant new capabilities for teams building, testing, and running software systems. By treating logging as a core system component, and using techniques such as unique event IDs, transaction tracing, and structured log output, we gain rich insights into application behaviour and health, especially cross-component visibility. This article explains why it is valuable to test aspects of logging and how to do this with modern log aggregation tooling. This approach makes logging a channel or vector to make distributed systems more testable. Historically, many people considered that logging 'slowed down' software. With synchronous file I/O, slow disk storage, and even slower network speeds, this view had some merit, and so we tended to be judicious about what we logged from software running in the live environment. However, with asynchronous file I/O and SSD storage becoming the norm and 1Gb, 10Gb, and even 100Gb Ethernet increasingly common, the performance characteristics of logging now look different. These days, outside time-critical applications such as financial trading and other algorithmically-sensitive situations, pure runtime execution speed is rarely something we should optimize for in software systems. Particularly in the context of distributed systems, cloud, and IoT, we need to consider the time it takes to restore service (often termed 'Mean Time to Recovery', or MTTR) following a failure, as well as the time it takes to determine the cause of problems in upstream (testing) environments. 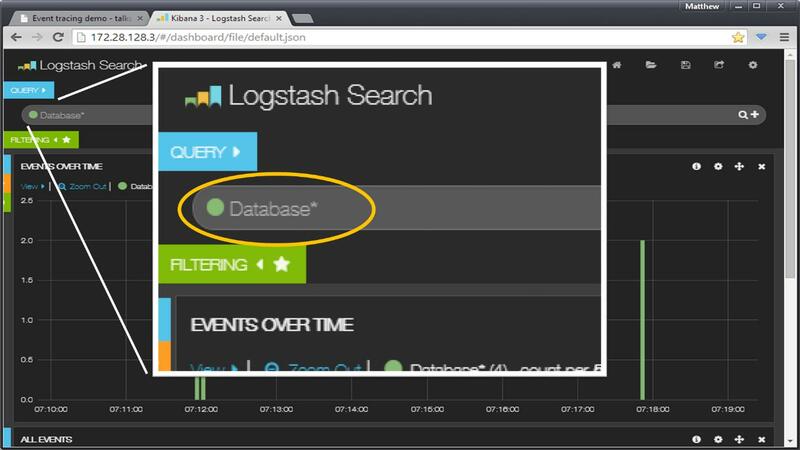 Modern log aggregation and search tools – such as ElasticSearch/Logstash/Kibana, LogEntries, Loggly, Sematext, and so on – provide hugely empowering ways of interacting with our software as it is running through rich user interfaces for exploring application behaviour and programmable REST APIs for searching and correlating events across multiple servers. Although additional logging may result in a 5%-10% drop in raw runtime execution speed, the detailed information available in a single searchable location helps us to diagnose problems much more quickly, speeding up our incident response and often significantly reducing the time to find that awkward bug! The combination of fast I/O & storage and modern log tooling – particularly when the tooling is available to all testers and developers – enables us to treat logging as a key part of our software systems; this leads us to ask: if logging is a key part of our software system, how can we test it? 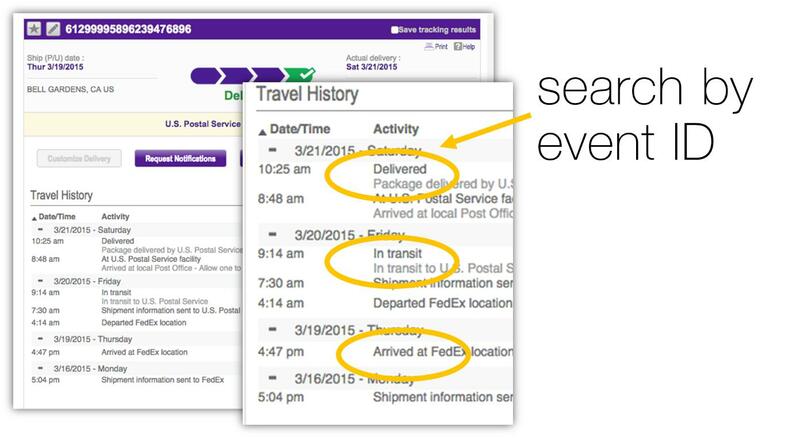 Most of us are familiar with online parcel tracking tools. These allow us to see where our parcel is given a tracking ID. These tools have two interesting features: being able to trace a specific parcel through the delivery network and also showing various different states (or events) that can relate to a parcel at different times. 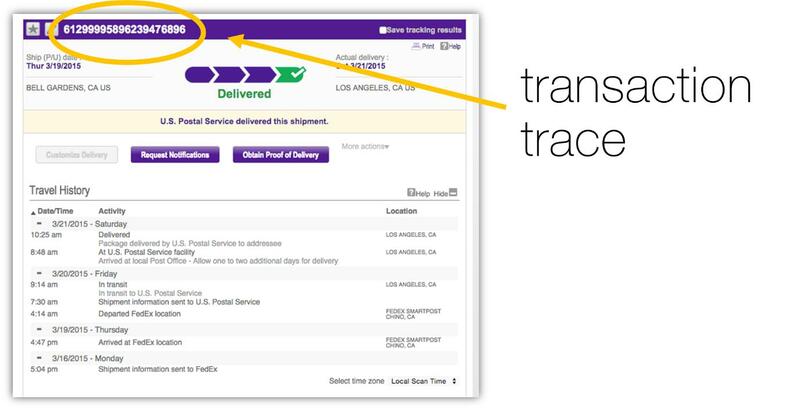 When tracking a parcel, we can see states such as ‘Arrived at depot’, In transit’ and ‘Delivered’; these represent specific states or events and each has an internal identifier (ID) within the system – an event ID. Within modern asynchronous distributed software systems, we can use a similar technique to trace execution of operations across different component boundaries. To help us do this, we define some of our own event IDs that relate to the system that we’re working with. Of course, by checking for these things, we exercise the logging subsystem and implicitly test that too. By addressing logging as a testable system component, we also tend to reduce the ‘time-to-detect’ for problems, increase team engagement, enhance collaboration, and increase software operability. We need to define a set of event type IDs that correspond to useful and interesting actions or execution points in our software. Exactly how many of these IDs you use depends on your software, but at a minimum we have ApplicationStarted and things like DatabaseConnectionFailed or DocumentStoreUnavailable (define additional IDs when these are useful – don’t try to define all possible events up front). We use human-readable names for the event IDs along with unique integer values that group together related or similar events: here, all event types relating to ‘Basket’ have integer IDs between 60000 and 69999. When our software reaches this state in the code, it writes the relevant event type ID to the log file along with other log data. This in turn gets picked up by the log aggregation system and made available for searching (via a browser and an API). If we want say to automate a test that expected or unexpected events occurred in the log stream we can query for the event via a simple API call using curl. For example, we might want to check that a database query occurred (expected events DatabasePreQuery and DatabasePostQuery) and there was no connection issue (unexpected event DatabaseConnectionFailed). Line #10 above shows us that the query matched exactly one log stream entry (total hits was 1), and at line #13 starts the query response, with the actual log message starting at line #18. We can then input these search results into our database query test using our tooling of choice to parse the JSON response and identify which events occurred or not. We're using the 'json' Ruby gem to parse the results of the pre and post query curl searches that we previously saved to adequately named files (first 10 lines). Lines #12 to #14 state our expectations for the test result (i.e. the log stream should contain a single DatabasePreQuery, a single DatabasePostQuery and no DatabaseConnectionFailed hits or events). The last line is the actual test (Ruby will return true if all of our expectations were correct or false otherwise). More complicated tests (or analysis of incidents) might, for instance, require searching all Database events in a given time period, counting how many queries, failures, etc. The approach, however, is the same as described above, only slightly more complicated code for iterating over a larger JSON response. We can also trace a single path of execution through the system using a correlation ID that we inject into the system when the activity is first initiated: a user clicking on a button, or a batch job starting, for instance. As long as the correlation ID is sufficiently unique for our searches in the log aggregation tool, we will see only results that relate to that query. 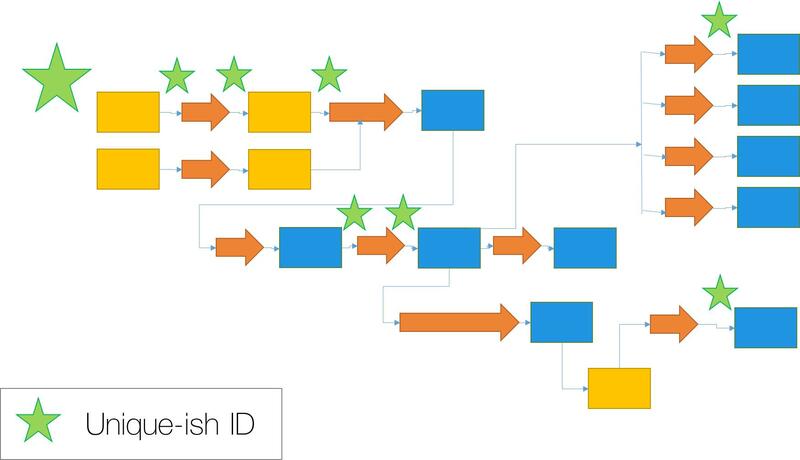 By searching for the correlation ID, we can determine exactly which servers or containers were involved in the processing of the requests and in effect reconstruct the request journey. There are commercial tools that provide features like this but by building in a few of these features ourselves, we gain a valuable insight into the operation of the system. Here we have an asynchronous, distributed system where apparent success in the browser app – the document was successfully updated – might actually need further workflow to be initiated (say, if the document audit finds problems with the document). This means that logging acts as a way for us to expand our testing of distributed systems by being specific about the actions and events that we expect to be logged and searching for these at specific times. Troubleshooting distributed, scalable systems (often composed of volatile infrastructure) depends on adequate logging and search facilities. 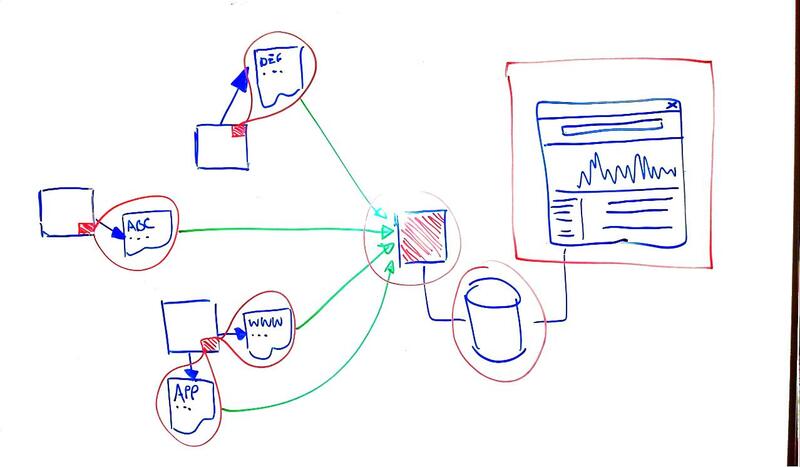 We need to log interesting events in our system and associate them to a given business transaction (such as a parcel delivery) via a unique (correlation) ID. Log aggregation and search tools allow us to trace a business transaction end-to-end with a simple ID query. We can also query a category of events to investigate component or system failures (for e.g. find all Database events leading to a incident). Finally, we saw that we can and we should test these operational requirements in a similar way to functional requirements, namely via user stories and BDD scenarios. Quick facts: favourite race: fim da Europa (end of Europe), favourite wine: red, favourite accomplishment: being a dad. 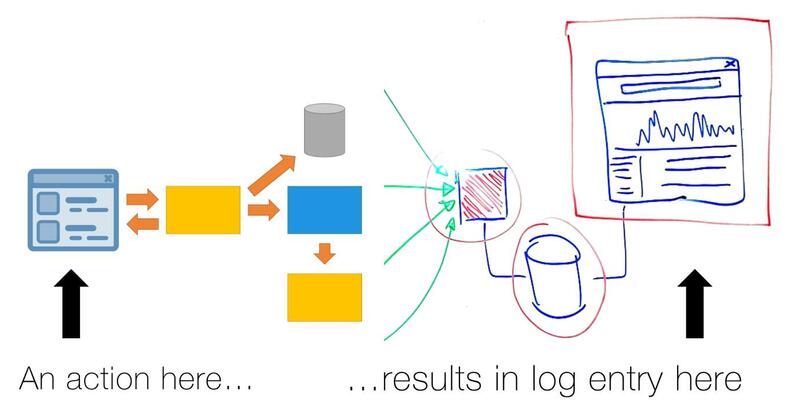 Logging, metrics & distributed tracing — These are problems, not solutions! Hi, is there any Automation Test Framework for testing logging, or any video which shows how logstash or any other tool mentioned here can be used for testing logging?